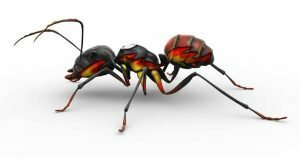 The best fire ant control methods are affordable, fast and effective; and no, that isn’t too much to ask. Over the counter treatments might struggle to meet any of those requirements, but professionals have access to better products. The costs may be more competitive than you think. 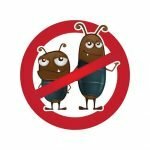 So, before you face off against these vicious little creatures on your own, call a trusted pest and lawn service for an estimate. As much as we’d love a spray to handle every problem, they’re just not that effective when applied in the wrong places. It’s important to know where–and how–ants live in order to hit them where it will hurt them the most. Professionals have been trained not only to use the right materials in safe ways but in the most effective ways to use them as well. Fire ants are small, red ants with a mean streak. They’ll aggressively attack anything in their path, swarming, stinging and biting in order to feed and spread their colonies out. They’re also super effective. The worker ants can eat through meat or vegetables, and they’re known to eat small animals, including baby calves. Fire ants live underground in nests, visible from above ground by large dirt mounds ranging 7-inches high and 24-inches in diameter. Up to 500,000 workers can live in one colony, with adults taking just 30 days from egg to maturation. Queens typically live 2 to 6 years. This meaning colonies can become well established in and around your home while you struggle for a way to stop their infestation. While it’s tricky and labor intensive, treating mounds one by one is sometimes the only way to clear up an infestation. Ants burrowing under structures and sidewalks or under flower beds or trees can present logistic problems for both laymen and professionals. It’s imperative that treatments not disturb a mound. Workers will swarm to protect their queen. Long lasting granular treatments for the lawn are best. They take care of any fire ants that surface or migrate over from neighboring properties. 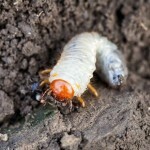 While these will prevent random bites from occurring, they don’t penetrate deeply into the ground to solve the source of the problem. Swarming incidents may still occur. Because fire ants are drawn to greasy, sweet foods, it’s easy enough to tempt them out of their nests. They pick up bait and take it back underground where they poison themselves and their peers. It can take several months for lawn applications to have an impact. Fast-acting bait can show improvements in as little as two weeks, but will need frequent re-application. Treating for fire ants in the right places and in the right ways will clear up your pest problems in no time. Want the kind of vigorous, thick lawn that’ll turn your neighbors green this summer? Now’s the time to start, and it’s also a great time to check out the best fire ant control methods possible, so you can enjoy your lawn during the warmer months . To learn more about the best fire ant control methods, call Think Green to schedule service at (678) 648-2556.